With the sixth largest economy in the world (California) now permitting the recreational sale of cannabis, the green rush is officially underway. It’s a once-in-a-lifetime opportunity to be able to enter a market that is guaranteed to explode, but is currently throttled. It’s any entrepreneur’s or investor’s dream come true. While legislation has lifted the burden of selling cannabis products, the IRS has made it particularly difficult for individuals profiting off the industry. 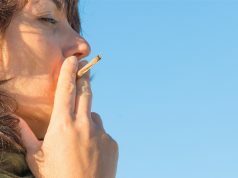 They’ve set a target on the backs of cannabis business: individuals in the cannabis industry face a 14% chance of being audited, where the general population only has a 2% chance. As with any venture, knowledge is power. The more you know about the cannabis tax code, the more you can prepare for it, stay out of legal troubles, and retain as much of your earnings as possible. 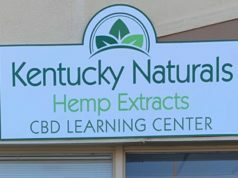 This series on cannabis tax, in affiliation with Cannabis Tax Relief, will be used to inform those in the “cannabusiness” about the general tax codes that affect their livelihoods. Section 280e of the Internal Revenue Code disallows businesses that are related to “the trafficking of Schedule I or II substances” to deduct ordinary business expenses aside from the Cost of Goods Sold (COGS). Even though cannabis is legal for sale in a growing number of states, cannabis is still considered a Schedule I substance at the federal level. Thus, for every cannabis transaction, any payment made is subject to tax without the ability to deduct ordinary business expenses. Let’s say you own a dispensary. You buy a pound of Jack Herer for $1,700. You then sell 128 – 1/8 ounces for $60 to patients in your dispensary. That means you sold $7,680 worth of product. The IRS taxes you on your profit, which would be $5,980 ($7,680 – $1,700). If your tax bracket puts you at 30% income tax, you’d pay about $1,794 in taxes. Thus, your final profit would be $4,168 on that pound. Wrong. Any dispensary owner knows that expenses are not merely what you paid for the product. You have rent, electricity, internet, security, staff wages, etc. All those things add up immensely, making your actual profit per pound of cannabis sold significantly lower. However, under 280e, all of those additional expenses are not accepted as expenses since they are not related to the cost of the goods sold (i.e. they weren’t related to what you paid for the product). Thus, you’ll still have to pay tax on the $5,980 even though your actual profit may only be $2,000 when you consider all your other expenses. Since you’d be taxed $1,794 on those profits, you’d left with barely any profit for your business. That’s why so many cannabis businesses go under so quickly: unless you’re doing high volume or you have a really good accountant / understanding of the tax code, the numbers just don’t add up. 1 – Hire a cannabis tax professional. Seriously. There are a lot of clever and legal tricks you can use that are beyond the scope of this article. We strongly recommend Cannabis Tax Relief. Since cannabis tax is all they do, they are extremely well-equipped to make sure the IRS doesn’t smoke your profits. You can schedule a free consultation on their site. We use them ourselves and couldn’t be happier! 2 – Keep records. The difference between a drug-dealer and a legitimate business professional is accounting. If you aren’t keeping track of every single transaction, then if you get audited, you might not even be able to claim your Costs of Good Sold as an expense! Then you’d be forced to pay tax on the total sale of your product. Tack on a 20% fee for filing an inaccurate tax return and you’re going to be out of business in no time. Be sure you keep track of everything. Even a simple Excel spreadsheet will do. You need to be able to say I paid X for Y on Date D for every expense your business has accrued. 3 – Prepare for the worst. Build a business model that assumes you’ll only be able to deduct your costs of good sold. Calculate your expected taxes ahead of time so you know what prices on your product will give you the “sweet spot” you need to hit to stay alive without gouging your customers. 4 – Leverage other businesses. Did you know that you can have two businesses share the same address? When that’s the case, you can share expenses. Thus, if you have a brick and mortar dispensary location, you can also have an advocacy business share the same address. Since the advocacy business wouldn’t be involved in the sale of cannabis products, it wouldn’t be subject to 280e. Thus, the time your staff spends working on the advocacy business would be considered an expense for that business and not your dispensary – increasing your actual margin on sales. We hope this guide helps your cannabusiness thrive! We can’t stress enough the importance of taking the time to hire a cannabis tax professional when dealing with all things 280e. Even if you just spent $500 to have a professional walk you through your filings, you might end up saving $50,000! Well worth it. 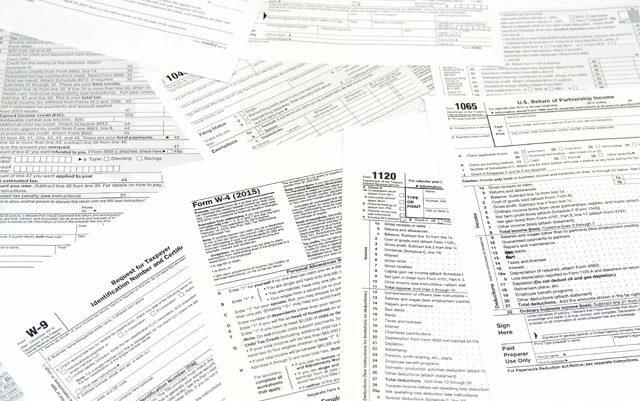 Trust us, the tax code is so complex that it really does pay to get some professional help. If you give Cannabis Tax Relief a call and say WoahStork sent you, we are sure you’ll receive the highest level of care!